A common question some home owners have is there a maintenance free no clog gutter protection system that won’t hurt my curb side appeal? There are many gutter protection type products available of which most stick out or are not esthetically pleasing. A gutter protection system that’s no clog & is a maintenance free system should be almost invisible and still work properly on the home. 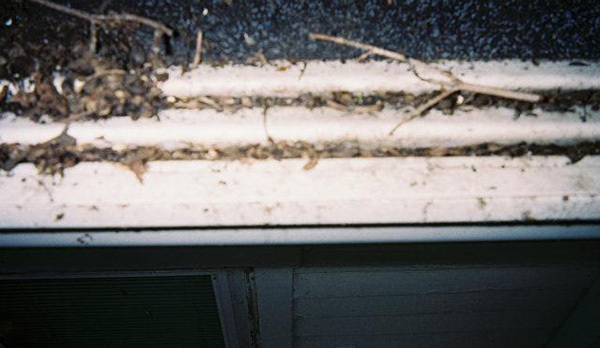 Here are some key factors to consider when purchasing gutter protection and to maintain the curb appeal of your home and keep you or your love ones off the ladder. 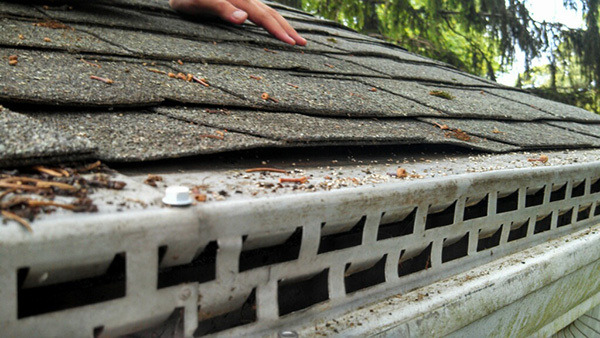 Some systems will mount on the lip of the gutter and attach under the first row of shingles only. 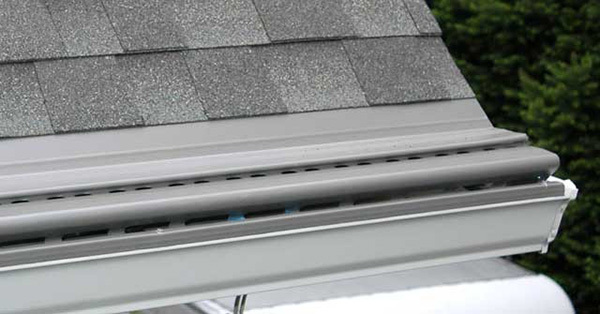 With some, first row shingle mounts the gutter protectors, force the gutters to be lowered and become more visible from the ground. When the fit is too tight under the first row of shingles it doesn’t allow for expansion and contraction and after a year or so, the panels ripple and look very unsightly. While other just stand out on top the gutter and detract from your curb appeal. Gutter protectors using brackets, or high profile systems, raise the panels up higher, and are limited in the ability to follow the contour of the roof. Look for low profile systems that mount directly to the lip of the gutter and attach under the first or second row of shingles roof without lower the gutters unnecessary. Like the Custom Gutter Shell System that’s a no clog & maintenance free system due to our patented system design. This arrangement allows the gutter cap to follow the contour of the roof and blend in with the roof line. We offer a wide variety of colors to blend in with any roof. Is the gutter protection product color important or should I match it with the color of my gutters? The color is critical for curb appeal. Homeowners should choose a color that best matches the color of the roof. Many homeowners make the mistake of matching it to the color of the gutters not realizing how much it contrasts with the roof with a two-tone saddle shoe look. The effect is not very appealing. If you match your gutter guard to the color of the roof, it should blend in with the roof line and appear almost invisible. A recent finish is the incorporation of roof granules into the finish. While there may be natural fading, as there would be with roof shingles, the effect is not noticeable. These systems become the first or second row of shingles and blend in well with the roof line. The custom Gutter Shell no clog & maintenance free gutter protection system offers home owner a wide selection colors to blend in with any roof. 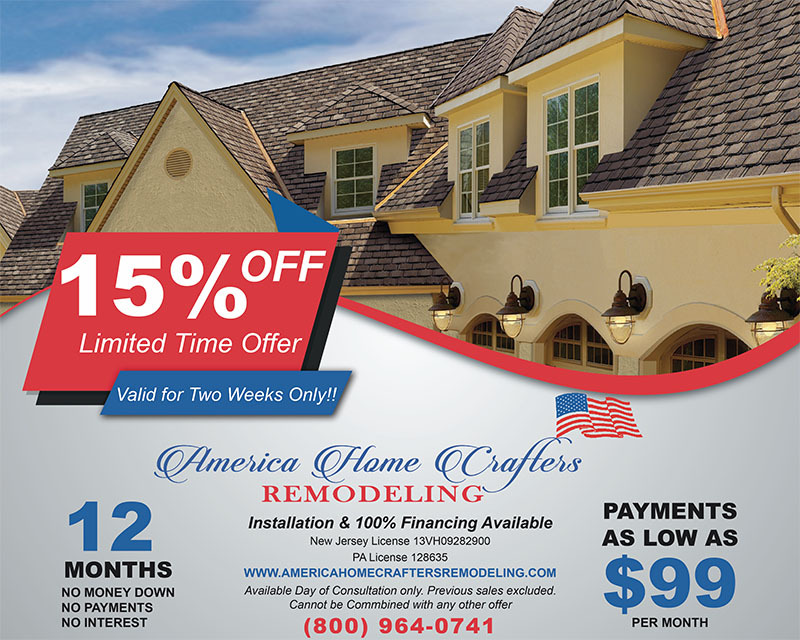 A trained consultant from America Home Crafters Remodeling can walk you through every step of the process. Homeowners don’t need to sacrifice the effectiveness of their gutter protection system for esthetics. Low profile mounts that attach under the first or second row of shingles will be almost invisible on your home. 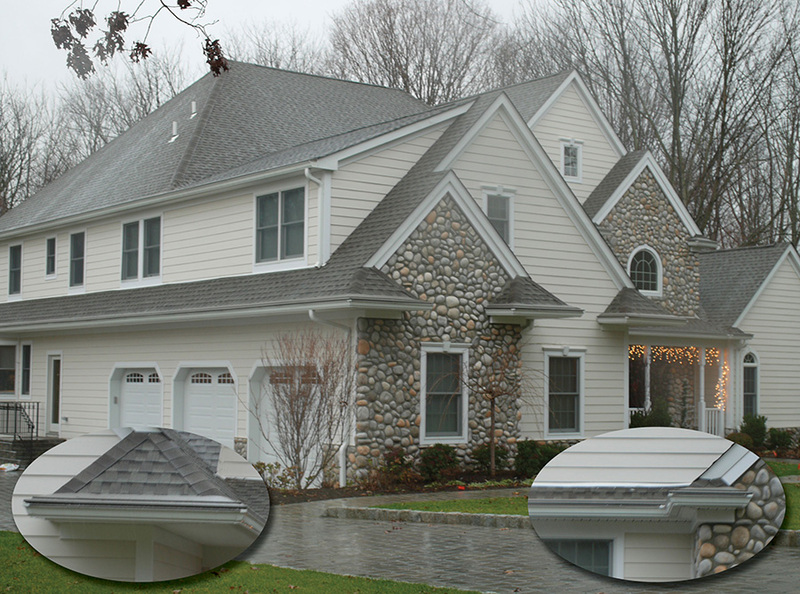 With the Custom Gutter Shell no clog & maintenance free system gutter protection can work great and not be noticeable. Deciding on gutter protection for your existing gutters or choosing a complete replacement with new gutters and protection to get on your home are both major decisions you should think about before making your investment. If you’d like to know more or to get a FREE no cost, no obligation, absolutely no pressure Estimate, call us now at (800) 964-0741.